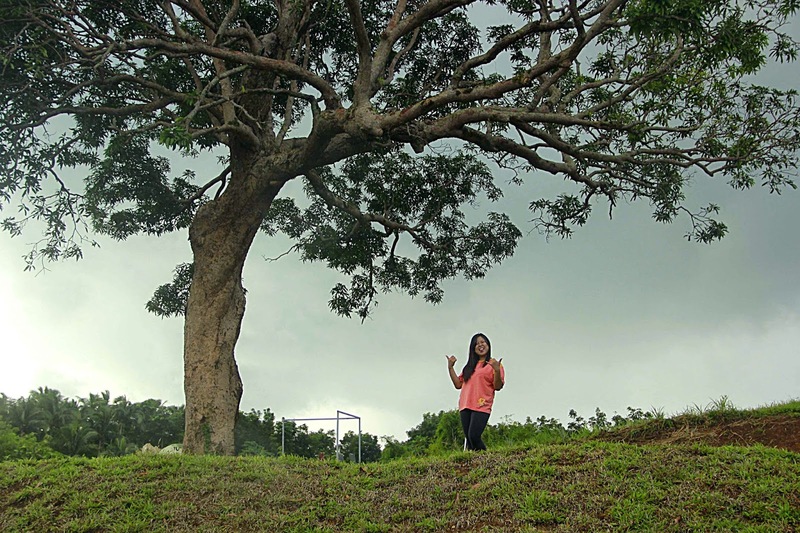 Sunday is much fulfilling day when I decided to go to Tanay, Rizal to meet one of my friends, a travel blogger -Ann. We met at the jeep terminal in the market and from there we planned our itinerary for the day. 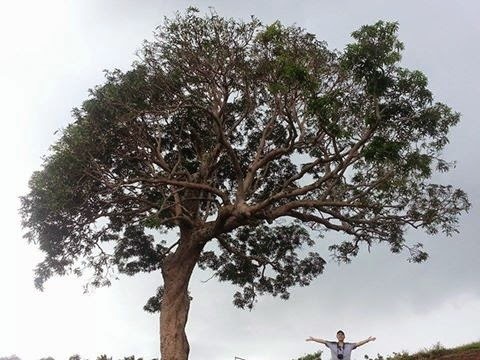 We went to Sampaloc, Tanay. I’m not familiar with the place so I let Ann decide where to go. There’s a jeepney terminal for Sampaloc route and the fare is 28 pesos per person. 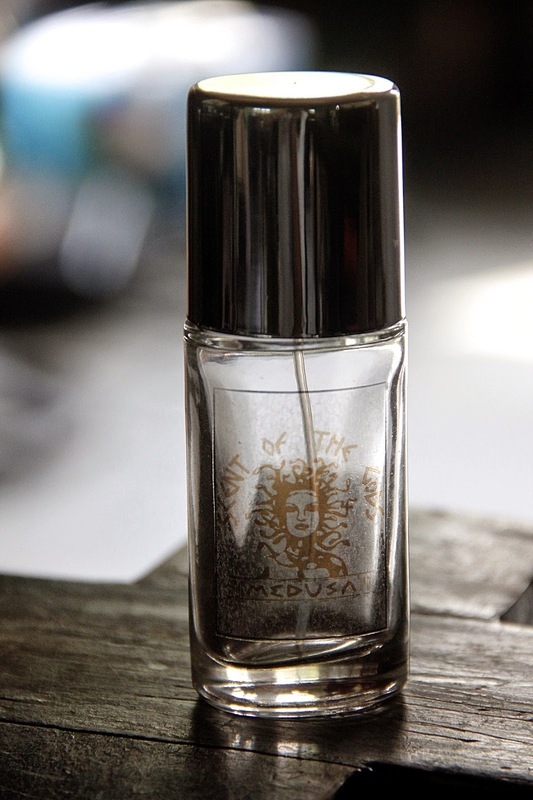 Our first stop is Regina Rica Pilgrimage. The jump off point is at the small terminal in Sampaloc where you can ride a tricycle for 20 pesos per person going to the pilgrimage site. From the gate is a walking distance going to the shrine. You can get a sneak preview of the shrine the moment you enter the gate as it can be viewed along way to the pilgrimage. 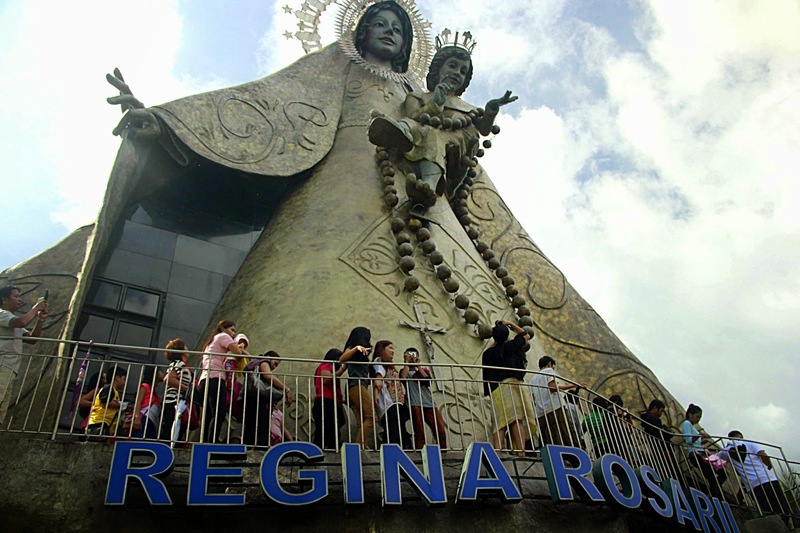 Regina RICA stands for Rosarii Institute for Contemplation in Asia. 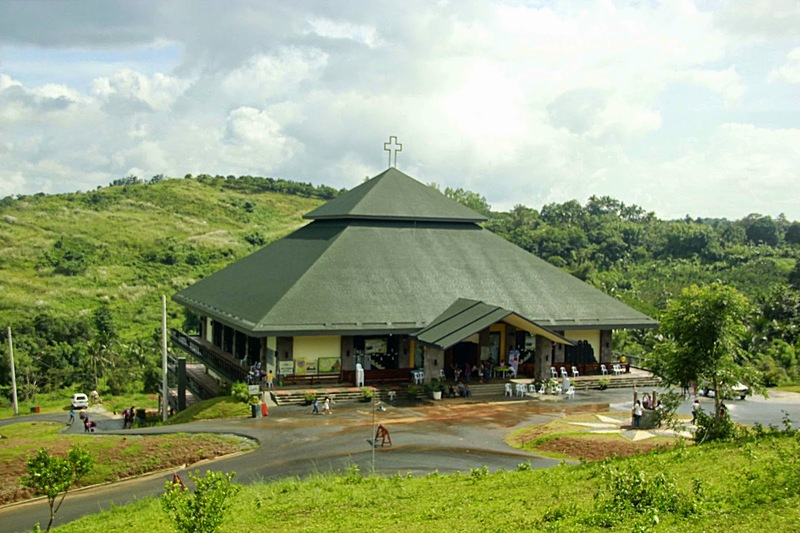 This has quickly become a popular pilgrimage site in Tanay since it was established in 2009. For those spiritual seekers, it is a beautiful place to start to experience the divinity of God. 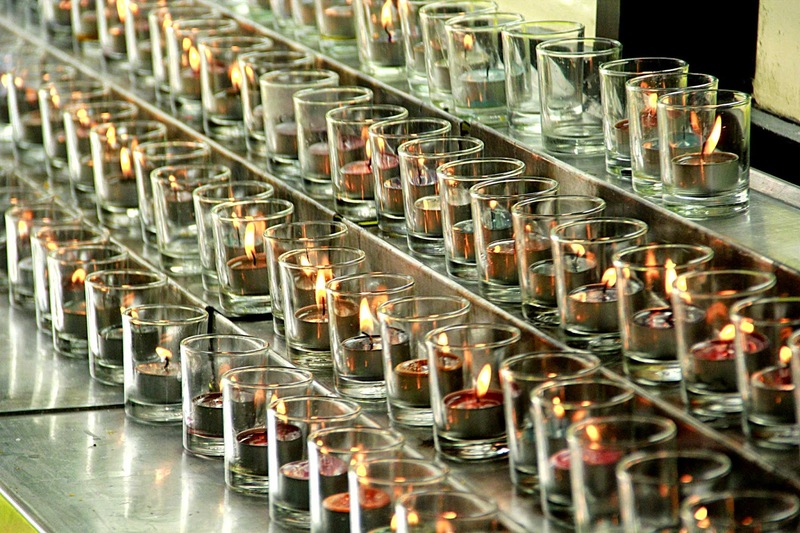 It is basically a place for prayers, meditation and pilgrimage. Everyone is welcome and there is no entrance fee and since this is a sacred place, certain rules are being obeyed. Silence should always be observed at all times and respect by maintaining cleanliness in the area. A dress code should be observed and any person should comply by not wearing any revealing upper garments and any shorts. 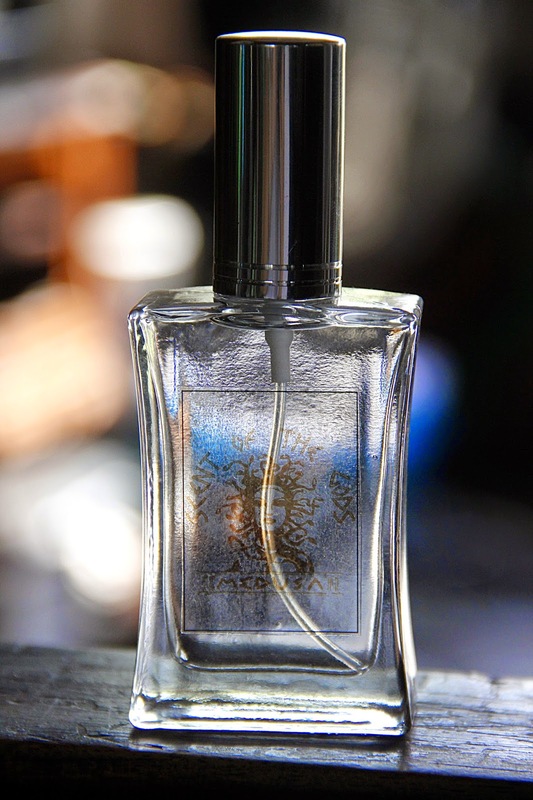 If a person did not know about the dress codes, they have stores inside the place that you can buy. 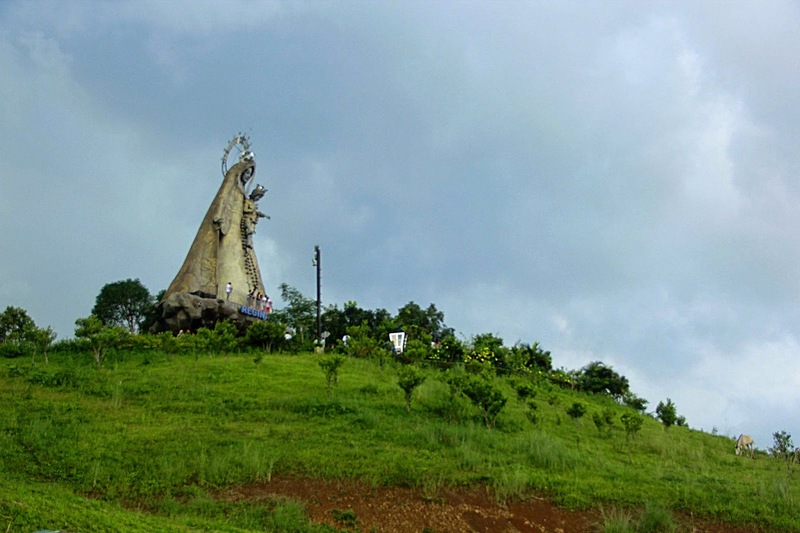 Regina RICA is a hill and the center piece is the 71-foot iconic statue of our Blessed Virgin Mary and child Jesus. 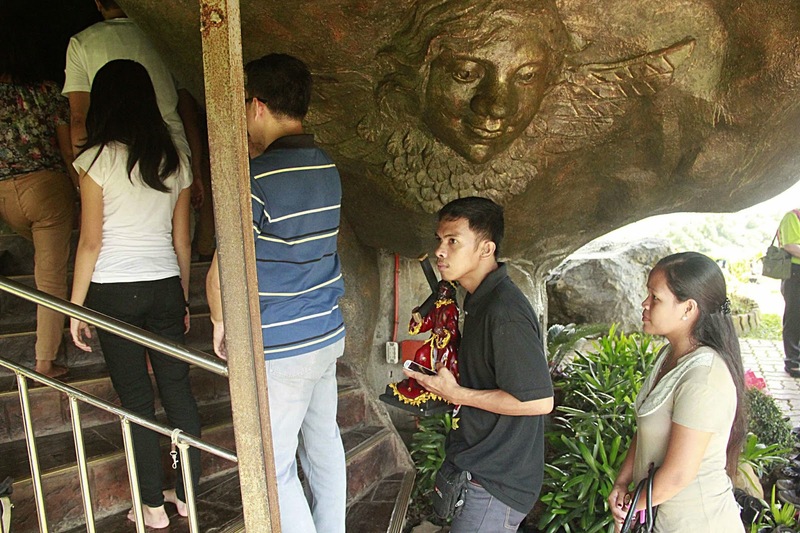 There are some Ilonggo words used as a guide for visitors like SULOD, in English means entrance or inside. Well I can speak the native dialect Ilonggo that’s why I can understand some of these words. 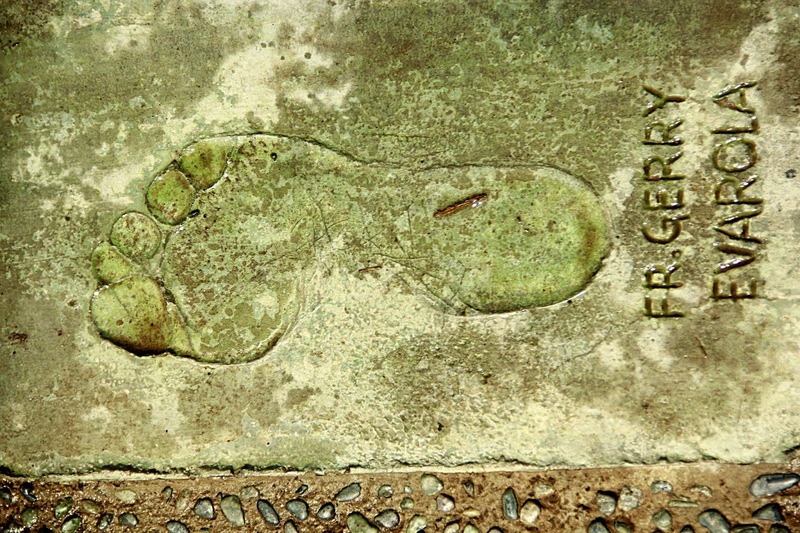 SULOD is an entrance to the shrine. 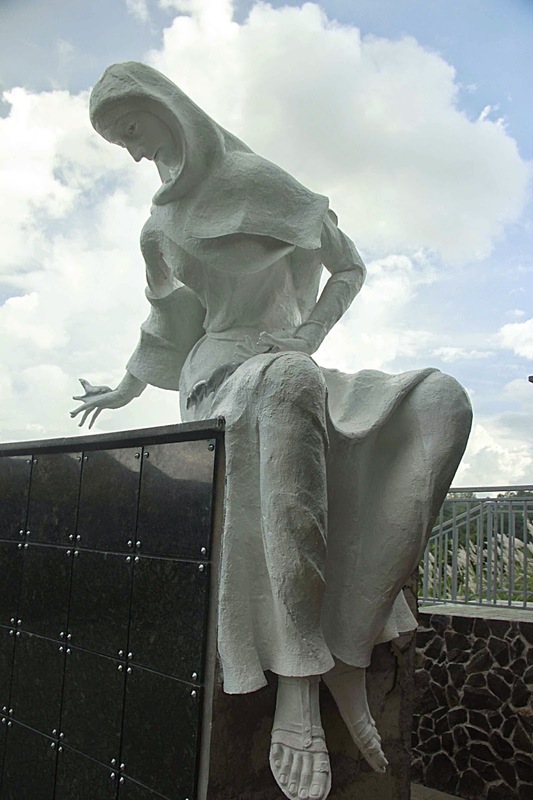 Inside the statue is also a SULOD sanctuary of universal love and devotion. 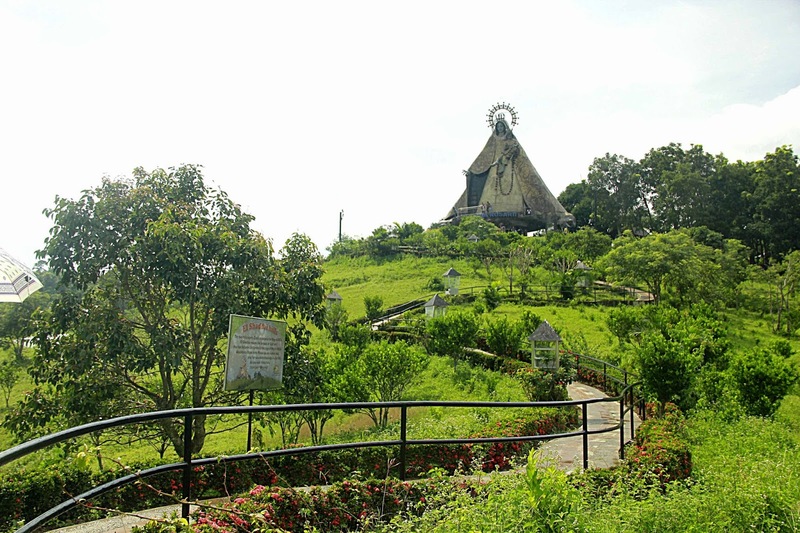 On a hill is a chapel, the Pahuwayan Columbary and Ossuary, and some facilities like restaurant, candle stands, meditational garden, organic gardens flower gardens and a lot more that you can go as you walk along the hill. 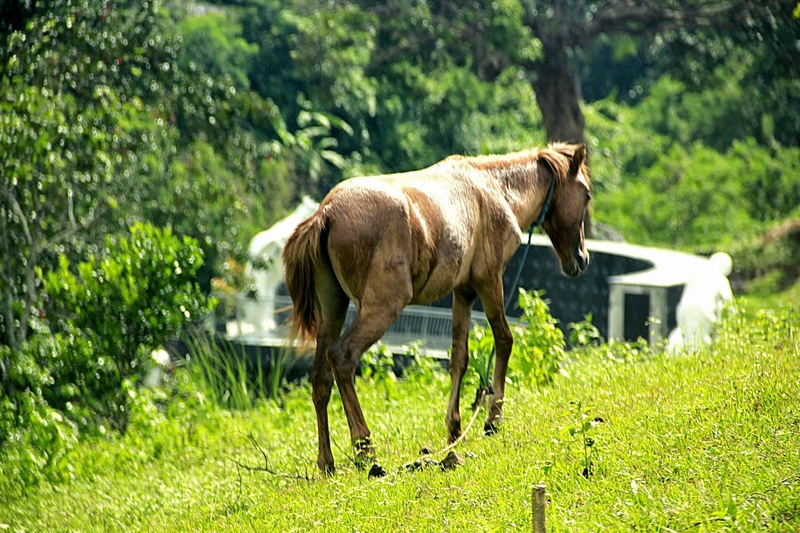 PAHUWAYAN means a resting place. 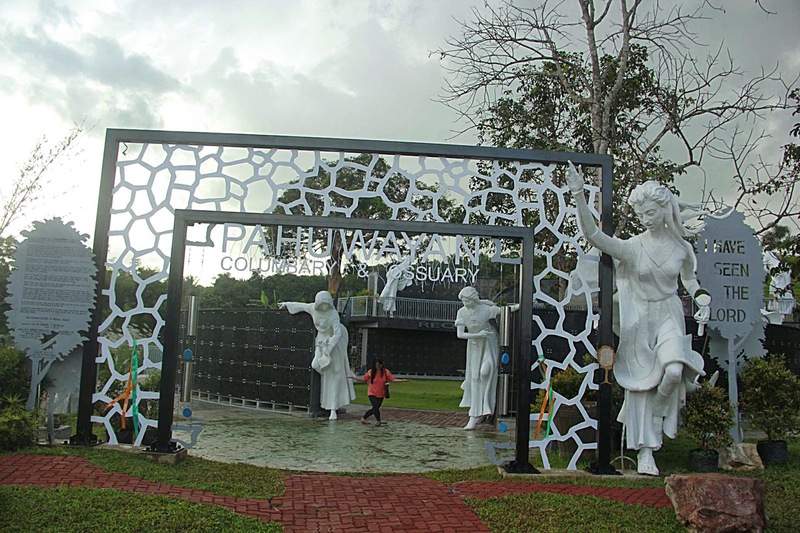 Pahuwayan sa RICA Columbary and Ossuary is a burial niches where urns and bones are stored in this place. It is nestled in the mountainside and at the end of the outer path is a passageway leading to the viewing deck where you can take the sight of waterfalls. While we were still in the hill, the weather changed rapidly from sunny to cloudy, until a short rain fell. Although Ann had an umbrella, we were quite sprinkled by the rain but it did not stop us from taking some pictures. We stayed over two hours in the sanctuary and decided to leave as we instructed the tricycle driver from the gate of the pilgrimage to take us to Sierra Madre Hotel and Resort in Tanay with its cool breeze and refreshing view of the mountains. I love rain. When it is rainy season, I find joy as the rains fall from heaven. It's just that I'm happy. 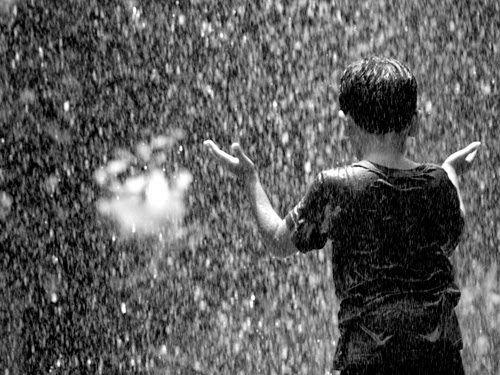 Rainy days remind me of my childhood memories, when I used to play as it falls down to my head. I make paper boats and let them sail at the stream. The soothing sound of rain is music to my ear. I love rain because I find myself sleeping in the afternoon. I don't know why I'm happy. It cools my mind. And when I see children playing in the rain, I can't stop thinking that I used to be like them. Wishing myself I could bring back the time from way back then.